Have you been bored recently? What was the problem? Were you listening to a speaker who droned on and on? Were you in a meeting discussing the same topic for the 100th time, or matching the 100th pair of socks? Or, perhaps, were you confused, distracted, or stressed? Canadian researchers Eastwood, Frischen, Fenske and Smilek (2012) suggest that some experiences we, and our students, perceive as boring may not be caused by dull or repetitious lessons, but rather, the result of stress or other factors that make it difficult to pay attention. When we are bored, our attention wanders and it is hard to focus. But other things can also make it hard to focus—distractions, emotional problems, or tasks that are difficult—and it is easy to attribute that lack of focus to boredom. But the truth is, the problem is not always the lack of stimulation on the outside—sometimes the problem lies within. For example, in one study, researchers asked participants to listen to an article while the TV in the adjacent room played at different volume levels. Those who were exposed to barely discernable levels of distraction found the task less interesting than those with either loud noise or no noise. They were uncomfortable and had trouble concentrating but were not sure why—so they believed they were bored (Damrad-Frye & Laird, 1989). It is easy to imagine how students who have attention disorders, face difficult issues with family or friends, or are struggling with tasks they find difficult, may believe they are bored, when the problem is really one of attention. What does any of this have to do with creativity? For many students, of course, being assigned tasks that require imagination and new ideas is a fine cure for schoolhouse boredom. But sometimes, when we present students with tasks that require flexible thinking and don’t lead to one clear correct answer, those challenges feel uncomfortable. Students may complain of being bored or finding such things foolish. If that happens, consider whether the problem is actually disinterest and boredom, or whether students may be having enough trouble focusing successfully on the task that they believe they are bored. In such a case more supports—not more stimulation—are what is needed. 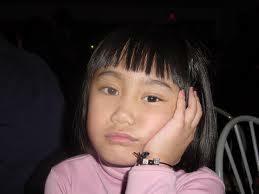 We also can help students learn strategies to help themselves focus when they feel bored. Nett, Goetz, and Hall (2010) asked more than 500 German high school students what they did when feeling bored in math class. Students who thought about the importance of the material and tried to move forward experienced less boredom in math than those who responded to boredom by avoiding the task, talking to friends, etc. It reminds me of a middle school teacher friend who, when faced with students saying, “I’m bored,” repeated the mantra, “You are responsible for your own boredom.” She talked to students about finding something of interest, whatever the subject, and looking for ways to tie ideas to something they cared about. Now, we could also add to that advice by teaching students to self-monitor to determine if they are actually bored, or perhaps stressed, distracted, or confused. Only then can they determine the next best steps. Learning to deal with feelings of boredom, whatever their cause, is a skill with life-long benefits. Next time I’m feeling bored, I’m going to stop to consider why. How about you? Nett, U. E, Goetz, T., & Hall, N. C. (2010). 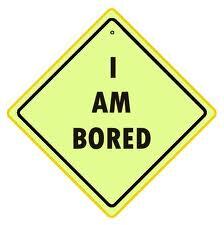 Coping with boredom in school: An experience sampling procedure. Contemporary Educational Psychology, 36, 49-59.